The trouble with loving something is you always want it to be better. Think: your kids or your favorite sports team. Or think your favorite cuisine (well, one of them at least) in the whole world. The trouble with knowing a lot about something is you have little tolerance for imperfections. Think: mathematics or cooking. The trouble with having eaten your way around N’Awlins multiple times over forty years, watching Justin Wilson like a hawk, and cooking your way through Paul Prudhomme cookbooks is, you lose patience quickly with a fraud like the Cravin’ Cajun. Conceptually, ELV has no problem with big steamed bags of cheap, nasty seafood being thrown on a table. If that’s your idea of a good time, have at it. Where a place like this goes off the rails for us is when it pretends to be cookin’ Cajun, when its cooks haven’t the foggiest idea what this food is supposed to taste like. Thin, watery gumbo — made without even the suggestion of a roux base — may fool the Asian and Asian-American crowd this joint is aimed at, but it would be laughed out of Lafayette Parish. Floating a crab carcass and some skinny shards of backfin meat in chicken stock do not a gumbo make. Nor does meat of frozen crawfish, adrift in the soup like so many packing peanuts (and tasting like styrofoam) do anything for this place’s Luzianna bona fides. Do you know how frozen (and re-frozen) shellfish (like shrimp and crawfish) often gets that mushy, tasteless quality in the mouth — having lost all elasticity due to poor or extended storage? We’re sure you do…and we’re equally sure you’ll figure out after two bites that this joint specializes in such things. Another affront: we asked for our gumbo “extra spicy” and it wouldn’t have offended Aunt Edna. Equally egregious: the etoufée. It was so bad bad it made the gumbo seem like Emeril himself had made it. Again we asked for it “extra hot” and it was even blander than the gumbo. No layering of seasonings, no multiple peppers being employed. If you’ve ever cooked from a real Cajun cookbook, you know the seasoning list is often as long as your arm. 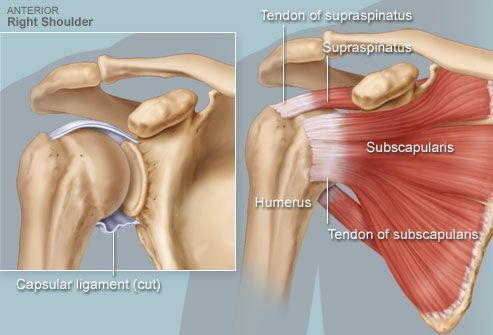 Here, it doesn’t extend past your rotator cuff. The cornmeal-crusted fried oysters, however, were pretty good. And then….there was the crab cake. Inexcusable. An abomination. The worst. In a town full of great crab cakes, an embarrassment. Crappy crab on a level you wouldn’t find in a frozen food aisle. All breading (and tasting of such), seasoning-free, and deep fried to a crispy reddish brown, it was like the world’s largest, most horrendous hush puppy. Whoever conceived it should be taken to the woodshed and whoever cooked it should be ashamed of themselves. Perhaps our vitriol is because CC is within walking distance of our office, and as soon as the sign went up we started fantasizing about lump meat days and andouille nights. Instead we get a tricked-out franchise wannabe, with all the soul of a shopping mall, cooking at a home-ec level….in a Utah high school. Instead of New Orleans jazz or zydeco, the sound track assaults you with lots of overplayed Eagles, Beach Boys and other 70s relics. Need we say more? ELV’s two meals came to a total of $71.24 (including tips) — money and time he will never get back. Ditto. We tried it Sunday — had steamed & fried shrimp & fried crayfish. Wish we’d gone to any of the other good restaurants in the same shopping center, like Bosa 1 (directly opposite with great food & drinks); Asian BBQ & Noodle (just next door for duck & pork); or China Mama (just steps away for steamy juicy pork buns). Even the iced tea failed — neither Asian nor Cajun, but powdered, instant, harsh & stale. Looks like they put a lot of effort & $$ into redoing to decor, but not so much into the food. the problem with cornmeal crusted fried oysters is that they make an unbelievably rich food in its own right feel completely covered up – and instead of a joyous bite of gluttony, you just feel like a glutton. Hell, at first glance, I couldn’t tell if that was a crabcake or a fried green tomato. From the looks of that breading, me thinks their frying oil needs to be replaced. I find that one should only eat creole, Acadian and ‘nawllins’ food when in that region, otherwise you aree almost inevitably setting yourself up for failure! The little things really give it a way too. Like having no clue about Crystals hot sauce or the fact that their beer list is Heineken, Corona and a Sapporo. At least throw a Turbo Dog in there or something. I miss Commanders and the 1-1-1. Thanks for the warning, lol. But a special thanks to the link to the Justin Wilson video. My kids and I would chuckle our way through his shows every week. We miss him and his sense of humor. I will have to completely disagree with this post. I ate there yesterday for the first time and absolutely fell in love. The service was excellent, the staff was very friendly and fun! They were all very attentive without being over bearing. The atmosphere was funky and relaxing. I felt comfortable and not rushed. My food came out in a very good timely matter. If you are complaining about the fact that the sea food was brought out in a bag and dropped on the table, well then , you have obviously not experienced the feel of new orleans food. I thought that was absolutely great and perfect for the type of resturuant they are. I ordered the etouffe ( surprised they had it because hot and juicy is frequently out of it) And it was delicious! I then proceeded to have grilled oysters and some crawfish. The oysters were cooked perfectly and the sauce that came on it was absolutely delicious. Then the crawfish came out , in a bag in a bucket that was set on my table. The crawfish were still hot and covered in their signiture cravin cajun sauce with a little bit of spice in it as a requested. My mouth melted! I got to enjoy amazing food, with amazing fast service, and I had 12 different tv’s to choose from to watch my favorite sports team and enjoy amazing food. No complaints here! Five stars! I agree with nancy! Food and service was fabulous, I was a hot n juicy customer, but cravin cajun has become my new favorite seafood resturaunt! I will be a regular customer here! 5 stars for me to! Um I completely disagree with you! their service and food was great! Your judgment was harsh and not true, as well as many of the other judgements and blogs you have posted. Lighten up! ELV responds: We are highly suspicious when we see posts like the ones above and then notice we have a business card from the restaurant in question with a name that is eerily similar to the initials of one of the commenters. …we suggest the above folks take their comments to Yelp, where (some of) the credulous public probably doesn’t mind the ballot stuffing that routinely goes on there. #7 #8 #9, these are the most un-authentic post I have ever read on this blog, its great. No one in Vegas actually cares the way you do, dont you see how you have dimed yourself out as fakes. ha. #9 Lighten up, how about make better food. And #8, comparing to another restaurant, so trashy. Theres alot of folks that like hot and juicy. And just to let all of you know, your reviews dont speak like foodies. Its more like a legal proceeding.